Peter Hodgkinson entered university via employment as a Probation Officer in Inner London where he developed an interest and expertise in working with life sentenced and mentally disordered offenders. 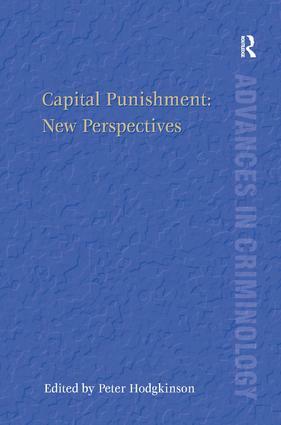 He has an honours degree in Psychology and a Certificate of Qualification in Social Work and these together with his experience of working with offenders, and a stint as Forensic Social Work Adviser have informed both his teaching and the establishment of the Centre for Capital Punishment Studies at the University of Westminster, of which he is Founder and Director. In H. M. Queen’s Birthday Honours of 2004 he was appointed an Officer of the Most Excellent Order of the British Empire (OBE) for his work promoting human rights.